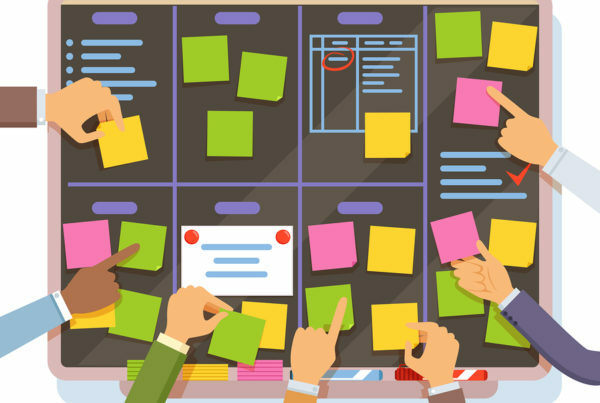 Generating online review starts with identifying the reviewer segments where a brand is strong and other pockets of opportunities for future growth. Not all online reviewers are the same. Each brand has its own segment of reviewers they should continue to encourage while trying to bring in other demographics that aren’t contributing. Having people from all backgrounds contributing their experiences helps in increasing the number of reviews as well as the the diversity of reviews so that it appeals to a wider range of shoppers who read online reviews while researching brands prior to purchase. The key to generating authentic online reviews is to focus on both short and long term drivers. This involves using technology and design to make it easier for shoppers to leave behind quick ratings on their mobile in the short term while integrating shopper feedback into customer service and product development to generate more positive reviews in the long term. 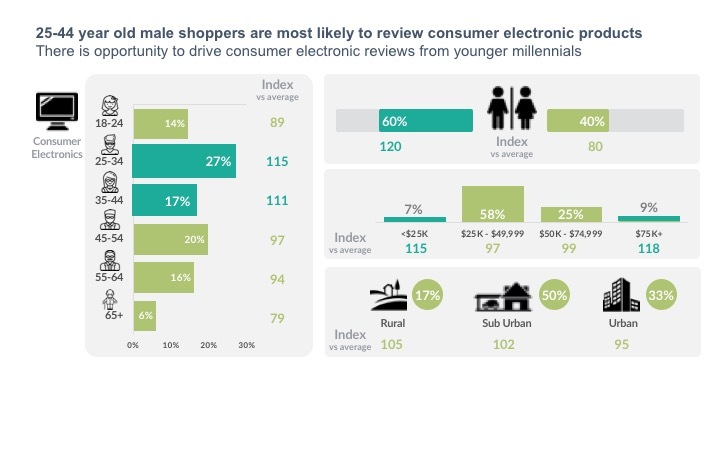 While consumer electronics generate more online reviews, most of it is driven by older millennial male shoppers i.e. men between the ages of 25 and 34. 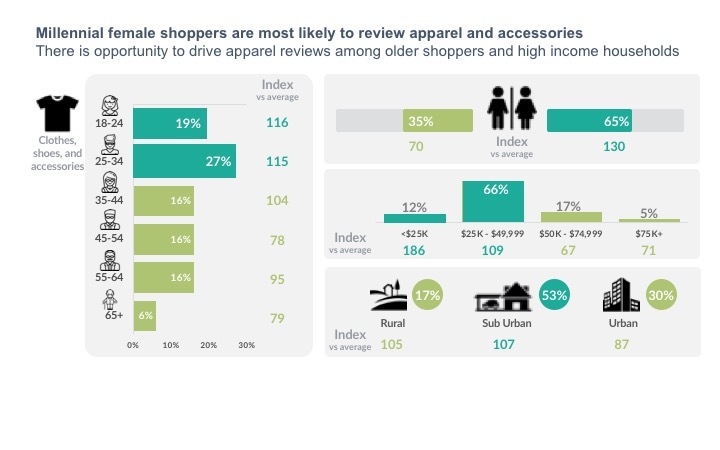 Female shoppers, responsible for 40% of online reviews for consumer electronics, severely under-index compared to the average female online reviewer. Consumer electronic brands can further generate not only more reviews, but a diverse range of reviews aimed at appealing female shoppers who also go online during the pre-purchase research stage. Surprisingly, the youngest shopper demographic of 18 to 24 year olds millennials, also severely under-index in consumer electronics compared to the average 18 to 24 year old reviewer, despite being considered the most technologically savvy generation. While, they may be creating chatter on social media, consumer electronics brands from Apple and Samsung to Sony and Microsoft have the opportunity to engage them in creating meaningful value via online reviews. It is not completely accurate to assume that younger millennials aged 18 to 24 years old do not post online reviews because they over-index when it comes to reviewing apparel and beauty categories, largely driven by female shoppers. More than three in five female shoppers go online to review apparel (65%) and beauty (67%) after purchase. 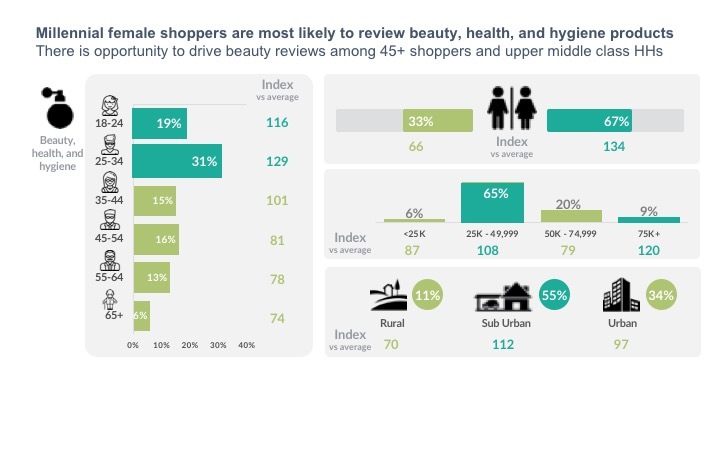 Apparel and beauty brands should be focusing on the 35 and above demographic – Generation X (35 – 54 years old) and Boomers (55+) – to drive more reviews and increase the diversity of online reviews that can in turn increase relevance among older shoppers who go online to research products. While apparel and beauty are strong amongst younger shoppers in generating online reviews, household appliances (e.g. microwaves, vacuum cleaners, washing machines, and refrigerators etc.) are strongest amongst Generation X and Boomers in generating online reviews. Nearly a quarter (23%) of early Boomers and almost one in five (18%) younger Generation-X shoppers post online reviews for household appliances. While this may look smaller compared to the 24% of older millennials who review appliances, early Boomers are 36 times more likely and younger Generation-X are 18 times more likely than the average reviewer to review household appliances. This makes sense as they tend to be the key demographic responsible for the purchase decision of household appliances. 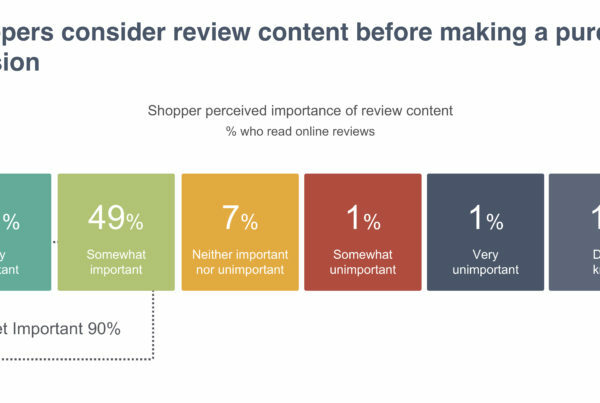 Household appliances, however, under-index when it comes to generating online reviews from middle income households earning $25K to $50K that make up a sizeable chunk of online shoppers and especially those who post online reviews. 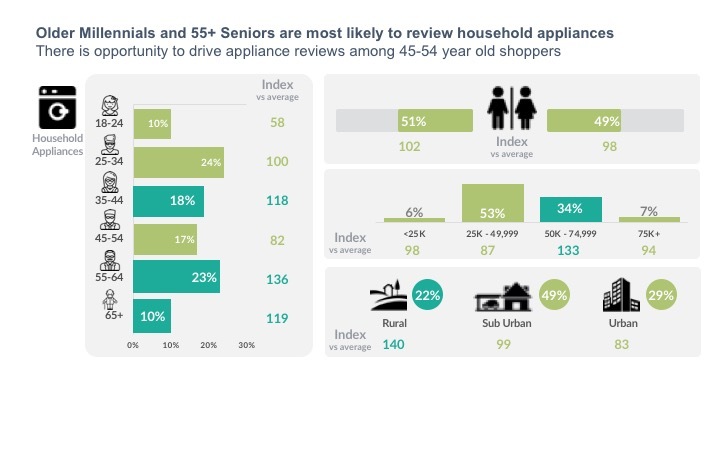 With more than half (53%) of household appliance reviews coming from this demographic they make up the biggest demographic, but are 13% less likely to review household appliances compared to the average online reviewer. While both male and female shoppers are equally likely to review household appliances, female shoppers are nearly 22 times more likely than the average female shopper to review products related to home, garden and pets. 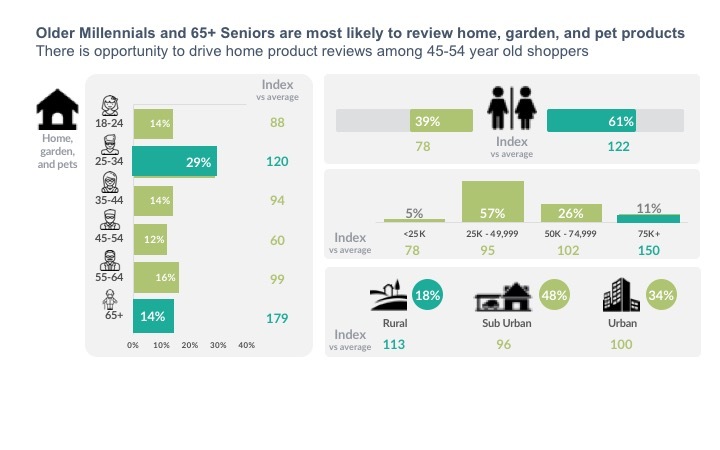 Pockets of opportunities to increase volume and diversity of online reviews around home, garden and pets brands lies amongst male shoppers and 45-54 year old Generation-Xers. 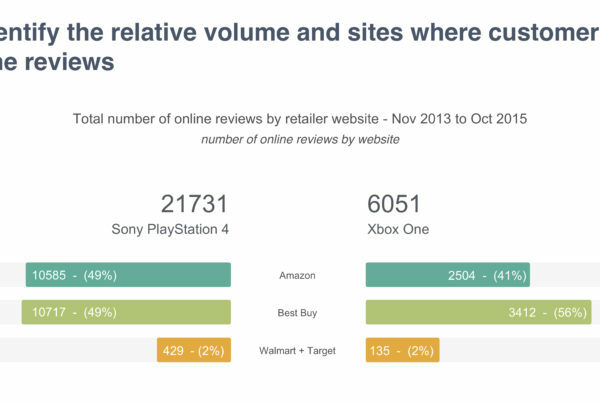 As brands across categories continue to engage shoppers in the demographic segment where they are strong and devise ways to motivate segments of opportunity, they should focus on functional drivers of online reviews such as the implementation of mobile to make it easier for mobile shoppers to post online reviews, as well as emotional drivers like providing flexible delivery and pickup options to improve the overall shopping experience.